Herbs have been around for a long time and have historic connections to healing thanks to the various properties found in different plants. Herbs are also well known for cooking and cosmetic uses. As the trend of using fresh herbs in cooking continues to grow, so does the demand for growing them for sale. 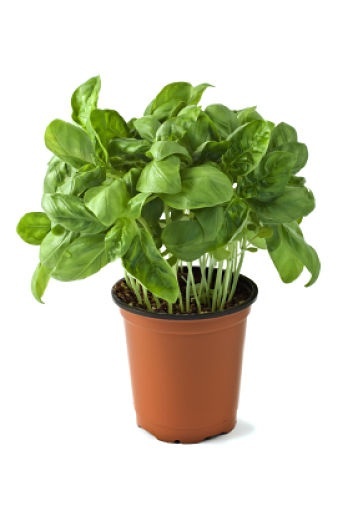 While the trend is still catching on in North America, Europeans routinely use four times as much herbs in cooking than Americans but as the benefits of using herbs becomes widely known, this is the perfect time to become part of the new wave of healthy eating by growing and selling herbs. Essentially the market for fresh-cut herbs sold to restaurants and grocery stores is mostly untouched which can turn a bit of gardening on your part into a profitable venture you can turn into a part-time revenue generator in your semi-retirement. According to experienced herb growers, there are a number of ways to save you time and effort when you start your own herb growing and selling business, such as growing under cover – a greenhouse, for example – growing in six-inch pots for a healthier plant that brings a higher price and growing a few ethnic herbs, such as lemon grass. Marilyn Mueller and her husband started their herb business as a part-time operation ‘on the side’ which quickly turned into a full-time business. They constructed a small greenhouse to kick start their herb plants prior to transplanting them in a field to mature. They spent $7,000.00 on the materials for the greenhouse and all associated production equipment and were able to make all that back in their first four months in business with inventory still growing in the ground at the time waiting for harvest. They also discovered herb growing was much easier in a greenhouse compared to growing potted plants, flowers or vegetables. 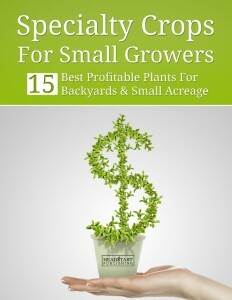 The best part of growing herbs for profit is that there are a number of value-added ways to sell your crop. For example, one herb grower had excess basil and parsley one season and turned around and made pesto sauce mixes and froze them. That grower then turned around and sold the packages to restaurants in the cooler seasons when herb prices were higher for importing fresh product outside of the local growing season. While herb growing is an easy task for beginners, there are ways to make your herb garden even more profitable from the very start. One of the best ways to achieve this is to be selective in the herbs you grow. In addition to being aware of the local market conditions and what herbs are in demand, it is a greater benefit to focus on high demand herbs. For an idea of what these niche herbs can generate in revenue, imagine a small backyard garden plot measuring one-hundred square feet of growing space. This area can hold four-hundred potted herb plants which would result in sales of just over $2,400.00. The key to this return is directly linked to the correct selection of herbs to plant and grow and that will require some extra research on your part but it will pay dividends. Some of the value-added uses of freshly grown herbs include the production of herbal tea and tea blends, essential oil products, cooking uses and for medicinal purposes.